Three white men have been arrested for attempted homicide, after allegedly firing a gun into a group of anti-Nazi protesters at the University of Florida, according to the Chicago Tribune. White nationalists, Nazis, and the “alt-right” gathered in Gainesville over a recent weekend to either support or denounce white nationalist Richard Spencer, who was allowed to speak at the university. While the three supporters were arrested for firing a weapon in attempted homicide, there are other felonies and misdemeanors that those protesting or counter-protesting in Florida need to be aware of. If you are facing charges for being part of an illegal assembly, being part of a “riot,” disturbing the peace, or violating another law, you need aggressive legal representation by an experienced West Palm Beach criminal defense lawyer immediately. Unlawful Assembly – Not all public gatherings are legal. Law enforcement can use the excuse of unlawful assembly to pick apart all types of protests. 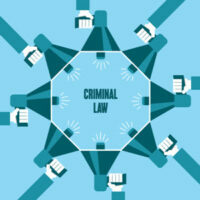 As per Florida statute 870.02, when three or more people meet in order to commit a breach of the peace or commit an unlawful act, they are committing a second degree misdemeanor, punishable by up to 60 days in jail and fine of $500. Unlawful Mask or Hood – Believe it or not, but according to Florida statute 876.12 it is unlawful for a person over 16 years old to wear a mask, hood, or other device in public when it conceals their identity. If you have been arrested for wearing a hijab, or discriminated against because of your cultural or religious headwear, you need to speak with an attorney at once. Public Mutilation of Flag – According to Florida statute 876.52, a person who mutilates a flag in public commits a first degree misdemeanor, punishable by up to a year in jail. Mutilation includes any defacing, burning, mutilation, or trampling with intent to insult. This law pertains to the flag, standard, colors, or ensign of the U.S. or state of Florida. Under Florida statute 876.03, it is unlawful for two or more people to gather for the purpose of promoting, advocating, or teaching criminal anarchy, criminal communism, criminal Nazism, or criminal fascism. Every person voluntarily participating in such a meeting will face a second degree felony, punishable by up to 15 years in prison. However, not all gatherings of Nazism or anarchy are unlawful. “Criminal” Nazism or communism is used to describe a group that intends to use force, assassination, or other violence to overthrow the constitutional government. The West Palm Beach criminal defense attorneys here at the Skier Law Firm strongly advocate for our clients’ best interests, and work tirelessly to ensure that their rights are protected. If you were arrested for being part of a protest or counter-protest, it is essential that you get in touch with a lawyer at once. We can help you beat these unfair charges–charges that most likely have little to no evidence against you.